I would Like to introduce Riley Jenkins & Oscar De La Renta to you. 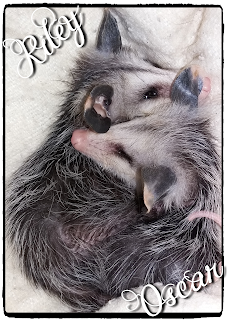 They are two of the three baby Virginia Opossums that found their way into our lives. They were born somewhere under my front porch. We kept hearing the dogs go nuts every time the mother would come and go. That is, until the day one of my cats got a hold it and left these little guys motherless. There were three little babies in the beginning but one of them I guess had been the last one born because it didn’t have all of its hair yet. We were only able to keep it alive a few days but the other two are doing great. I was always told to stay away from Opossums because they may have rabies, but after doing lots and lots of research, I now realize that’s just not the case. 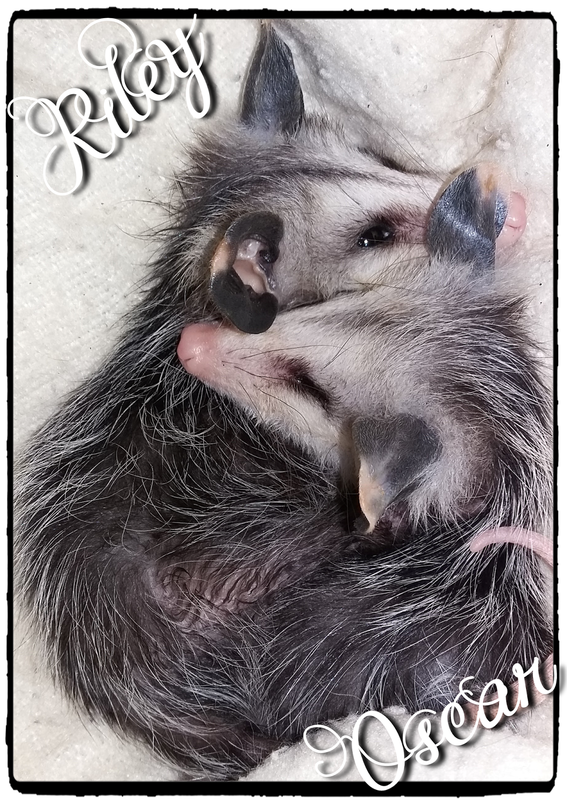 It is just about impossible for opossums to get rabies … their body temperatures are too low for rabies to survive. People think they have rabies by the drooling that opossums do. The truth of the matter is that they are just scared. Oscar taking a nap- Isn’t he cute! We have these little guys for almost two months now and they are still sweet as can be They have grown quite a bit and I will take more pictures of them, later on, to show you. As for what we feed them…They eat almost everything you can think of except for fishy types of food. Like crab, tuna and shrimp. They will not touch them for nothing. But you give them a peanut butter cracker or hard boiled eggs and they go nuts for it! They also love chicken and cat food. They have about 50 teeth which helps them eat all kinds of things including the bones of chickens. So far these guys seem to be highly entertaining and awesome as pets. They do have a few faults though like not being able to see very well. They get scared really easily. Sometimes they even get scared when I reach my hand into their cage and sometimes I do worry that they will bite. Once they figure out who it is reaching their hand in though they calm right down. All in all, I think these two little guys are awesome! I also think that if I had to do it all over again, I would do it happily!